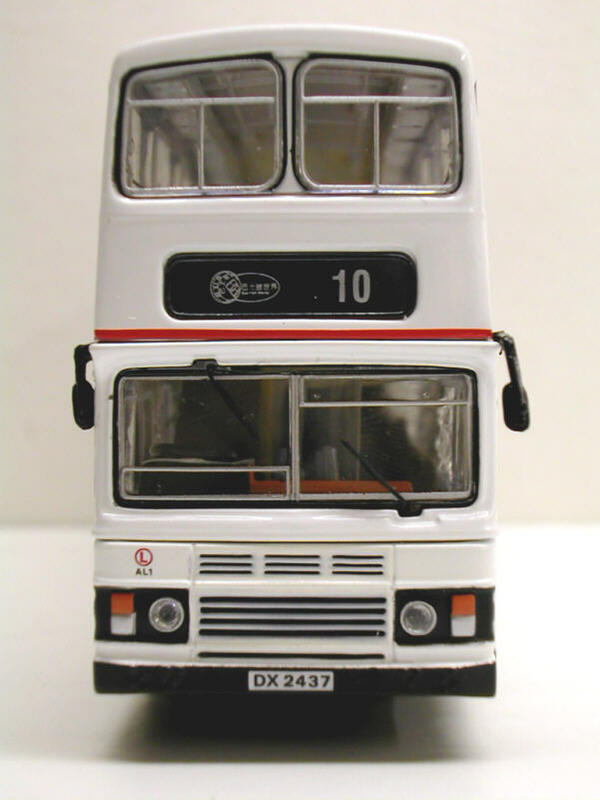 The model - this is the second KMB liveried Leyland Olympian from Buses Model Co., and it features fleet no. 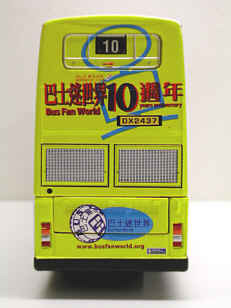 AL1 with banner advertising commemorating the 10th anniversary of Bus Fan World. Two models were initially presented to the Bus Fan World in May 2002 to mark this event. 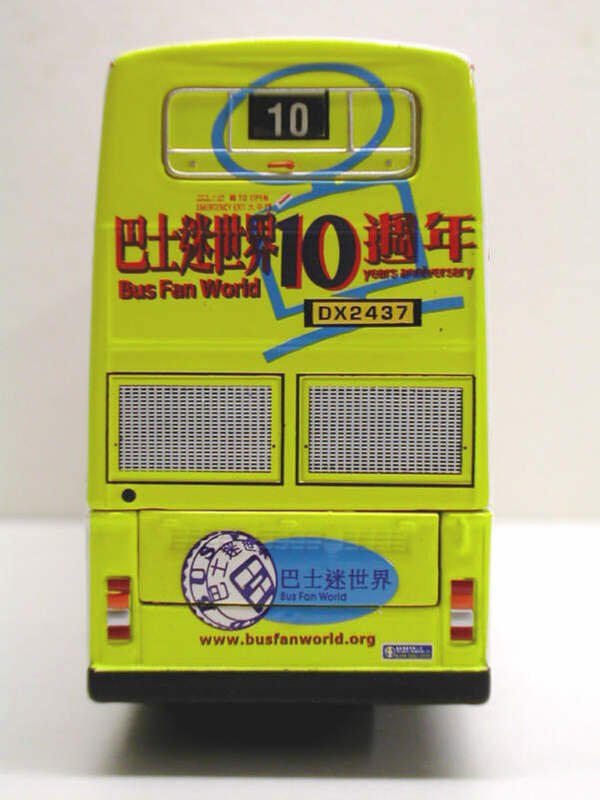 In late August 2002, Bus Fan World offered 500 similar models to it's members, it's destination featuring the Bus Fan World logo and a route number of 10. 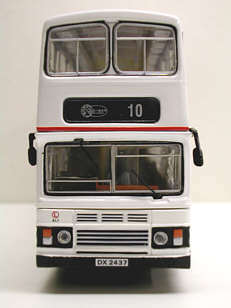 In October 2002, it was announced that a further quantity of 1,000 models were being issued for general release, this version carrying a different route number and destination (see AL10802-R6). 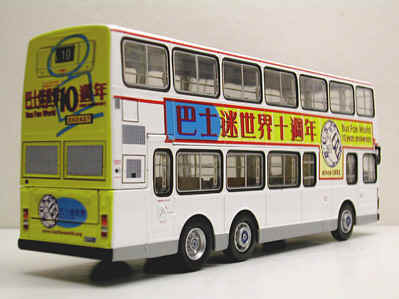 See also the Model Review below. 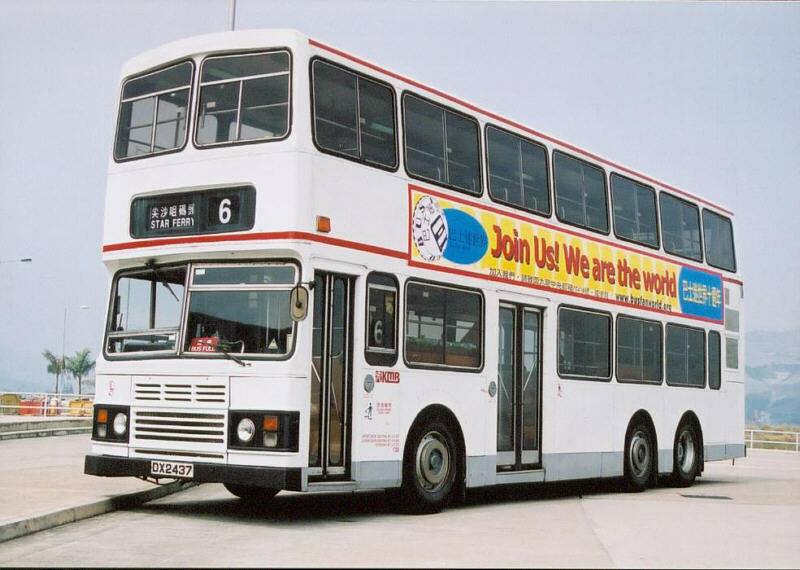 The bus - AL1 was the prototype 11-metre Leyland Olympian and entered service on 12th May 1988, and was used extensively for trialling the air-conditioning equipment. It was unique, being the only vehicle in the class to feature opening windows, just in case the air-con failed! It also featured a small destination screen compared to the others in the class. 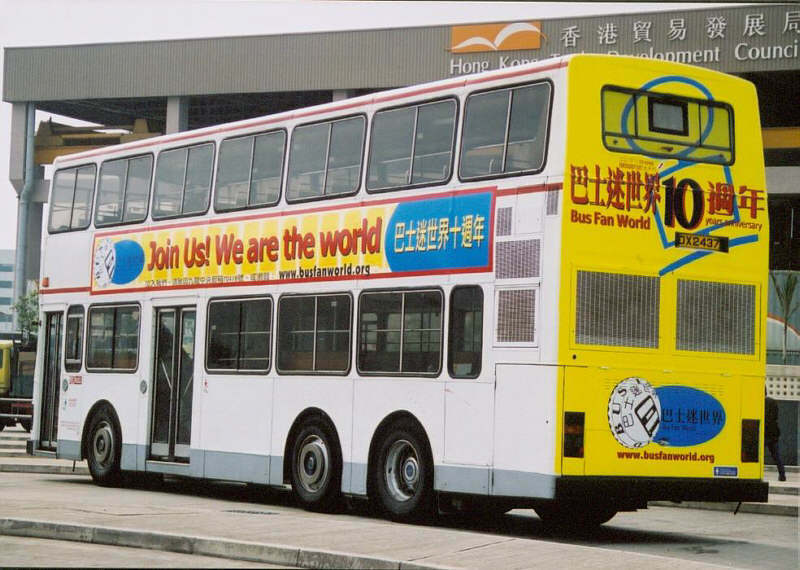 To commemorate the 10th anniversary of Bus Fan World, banner advertising was applied to the vehicle in May 2002. 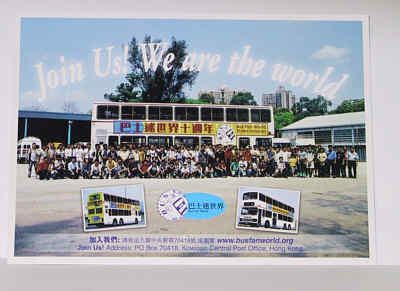 The above information is extracted from Mike Davis's excellent reference book "The Buses of Kowloon Motor Bus". 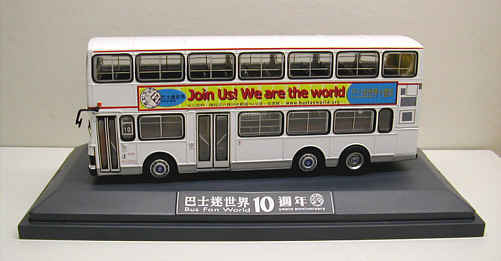 Buses Model Company presented two dedicated models to Bus Fan World during the club's 10th anniversary AGM on 11/5/2002. 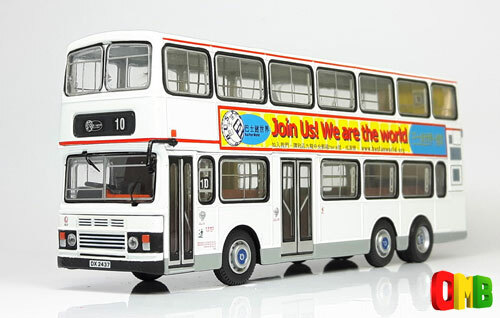 The model features KMB's first successfully built air-conditioned 11m Leyland Olympian, AL1/DX2437, with banners promoting Bus Fan World's 10th anniversary being applied on it. 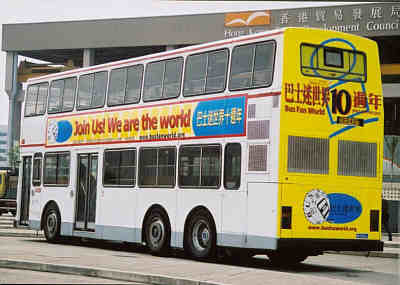 - A modified rear, with the upper deck emergency exit being relocated. 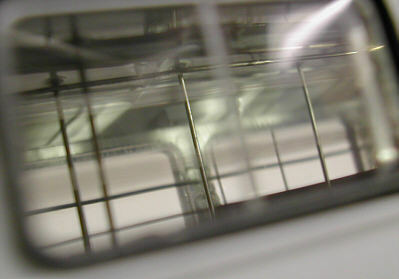 - A/C vents at the end of the upper deck compartment. 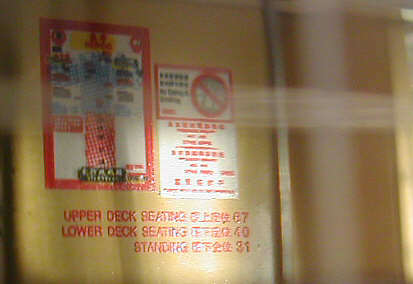 Route information and passenger notices can also be seen inside the compartment, which are absolutely impressive for those who have seen the actual model. 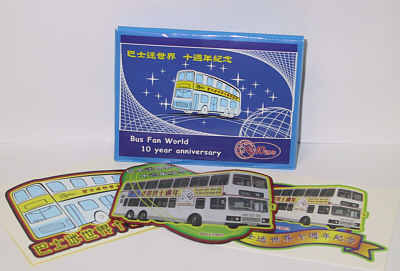 In addition, the postcards and stickers presented together with the model to the subscribers are also made of excellent quality. Overall, this model is absolutely a worthy choice for model collectors to get.